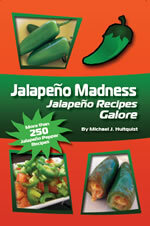 What makes a jalapeno pepper hot? Most of us love the jalapeño (and other beautiful peppers) because of the little “kick” we get when we take a bite of one. Sure, as far as taste is concerned, jalapeños are delicious, but that blast of spiciness that bursts in your mouth and ravishes your tongue is a powerfully added bonus, making hot peppers among the greatest flavors in the world. 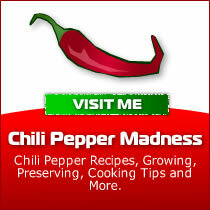 That spiciness we all love and crave comes from a compound called capsaicin that is found in all hot peppers. 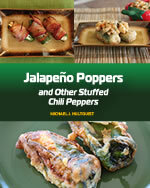 Interestingly enough, capsaicin is found in no other plant than the chile pepper. A single drop of this substance combined with 100,000 parts water is still noticeably spicy. Isn’t that great! 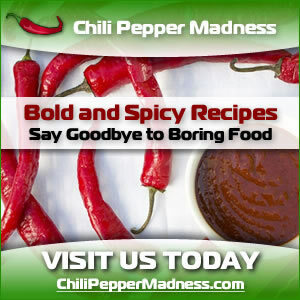 Capsaicin itself is tasteless and odorless and is produced by the glands in the chile pepper’s placenta, found at the top portion of the pepper below the stem. Note: The placenta is about sixteen times hotter than the rest of the pepper and is usually removed along with the seeds (another hot part of the pepper) when preparing food. If you’re looking for a good kick with your dishes, leave it in (along with the seeds), and see what you get. Oh yeah! Scientists have observed that many rodents and other small mammals do not particularly like the jalapeño, possibly an evolutionary advantage developed through the generations to protect the peppers from evildoers. Birds, however, seem to be unaffected by the pepper heat. This, of course, is an advantage to our friend, the chile, because when birds eat the peppers, they disperse the seeds through their droppings all across the land, thus perpetuating that thing we all love so much (though admittedly in a rather gross manner).